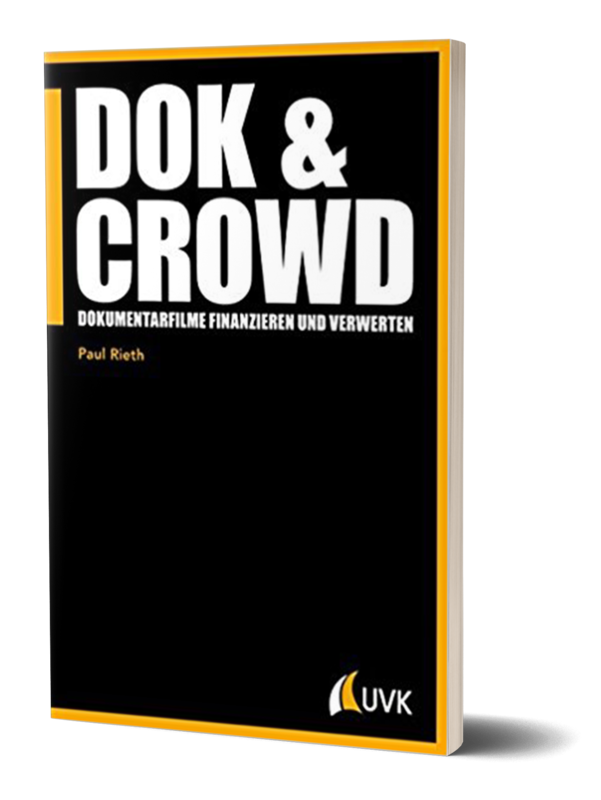 DOK & CROWD offers detailed insights into the German documentary industry. Besides the overview of the different sources of institutional film financing like federal and regional film funding and television, DOK & CROWD presents the different forms of distribution of documentary films like cinema, television, DVD and film festivals to analyze their benefits. 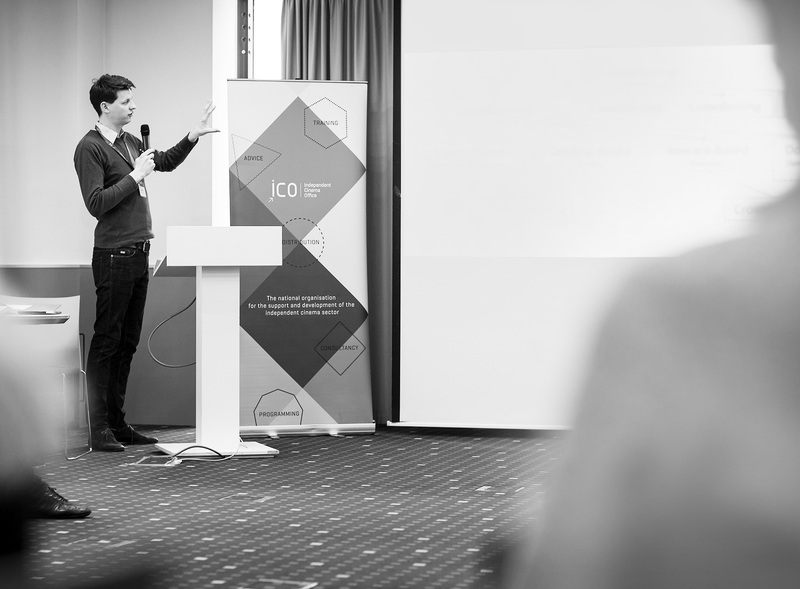 However, new and innovative financing and distribution channels are the focus of DOK & CROWD: Crowdfunding and video-on-demand services are opening up completely new possibilities for documentary filmmakers to acquire funds independently and present them to their audiences without the approval of any gate keepers. Through effective audience strategies and online marketing, target groups can be addressed from the beginning of the film production and thus become valuable multipliers within the whole production and distribution process. This book is currently only available in german language! Please address your Press inquiries directly to the publisher Herbert von Halem. In the past few years I had the honor of being invited to over 50+ Workshops and Lectures within Germany, Europe and the world. The topics ranged from Audience Building to Film Marketing, Crowdfunding to Documentary Film. It is my greatest joy to inspire and motivate creatives and business people who love what they do and have the drive to push their projects forward. Identifying your goals, knowing the audience(s) for you and your creative outcome(s) is a great challenge. You can call this position Audience Designer, Impact Producer, Outreach Producer or Producer of Marketing and Distribution (PMD), it doesn’t matter. I’m happy to get involved and support you with your project. Crowdfunding combines many great things: it is product and project development, independent funding, marketing and audience engagement at an early stage. With a good strategy and a few important elements, big things are possible for you and your project(s)! How does the documentary industry work? How does this complex system of funding institutions, TV stations, distributors and world sales work? And how can digital possibilities in funding, promotion and distribution help your project? I will guide and help you to find all the answers as I also love the process of story development! How do you produce creative content for the web? What visual format fits your goal? A strategy for the whole process, from planning to shooting to editing. All challenges and potential customized for your project. Produced and edited in 4K. Besides being a lecturer and consultant, I have always produced video content for different clients. It was and is very important for me to always keep up with current developments in the industry, not just in theory but also in practice. This became quite a variety of references within the recent years today specializing in web-based video content like pitch video, short documentaries, tutorials, Portraits, Social Media Clips). It is handled by me and my team from the first idea pitch until the final upload. I’m a Berlin-based Marketing & Crowdfunding consultant, Audience strategist and film producer. Within my consultancies and workshops, I advise companies, organizations and individuals in strategic planning regarding target group, audience(s) and online marketing activities. I regularly get invitation to lecture, leads panels and give presentations at universities, festivals and a wide range of organizations. Within Germany, Europe and as far as Nigeria and Uganda. I also produce various formats of web-video content such as pitching videos, corporate films, interviews, documentaries and short-clips. Since 2014 I’m a member of the German Documentary Association AG DOK, and a founding member of the German Crowdfunding Network, where I joined the expert group ‘Crowdfunding & Film’. Within the Audience Design Program of the TorinoFilmLab 4 participants develop individual Audience Engagement and Marketing Strategies for feature films at an early script stage. I was part of this program in 2017 with a strategy for the Singaporean film ‘Autobiography’ by Makbul Mubarak (Berlinale Co-Pro Market 2019) and am now a part of the Alumni Network. Professional Media Master Class (PMMC) by Werkleitz offers medium-German film and media professionals from various disciplines the opportunity to further their education in professional media practice and qualify for the media market. The PMMC is not an academic education, but a practice-oriented training with experts in their fields. Its purpose is to bridge the gap between the numerous media programs in Central Germany and the practical requirements of the media industry. For academic qualifications, I‘ve graduated with a Magister (Masters) in Media and Communication Science & Sociology. In the area of Media Studies, I have participated in seminars, lectures & courses on: Film History & Theory, Screenwriting, Cinematography, Editing, Directing & Production, Marketing, PR, Design, Media Production & Communication. In the field of Sociology, I attended seminars, lectures & courses on social structure, media sociology, urban sociology, qualitative social research and interview techniques. I have also participated in various workshops, seminars & masterclasses on marketing, press, screenplay, camera, editing, directing & Production with Hans Beller, Klaus Wildenhahn, Peter Dörfler, Grischa Schaufuss, Marco Wilms, Sergey Dvortsevoy, Wilhelm Domke-Schulz and many others.